A Home on the Field is about faith, loyalty, and trust. It is a parable in the tradition of Stand and Deliver and Hoosiers—a story of one team and their accidental coach who became certain heroes to the whole community. For the past ten years, Siler City, North Carolina, has been at the front lines of immigration in the interior portion of the United States. Like a number of small Southern towns, workers come from traditional Latino enclaves across the United States, as well as from Latin American countries, to work in what is considered the home of industrial-scale poultry processing. At enormous risk, these people have come with the hope of a better life and a chance to realize their portion of the American Dream. But it isn't always easy. Assimilation into the South is fraught with struggles, and in no place is this more poignant than in the schools. When Paul Cuadros packed his bags and moved south to study the impact of the burgeoning Latino community, he encountered a culture clash between the long-time residents and the newcomers that eventually boiled over into an anti-immigrant rally featuring former Klansman David Duke. It became Paul's goal to show the growing numbers of Latino youth that their lives could be more than the cutting line at the poultry plants, that finishing high school and heading to college could be a reality. He needed to find something that the boys could commit to passionately, knowing that devotion to something bigger than them would be the key to helping the boys find where they fit in the world. The answer was soccer. But Siler City, like so many other small rural communities, was a football town, and long-time residents saw soccer as a foreign sport and yet another accommodation to the newcomers. 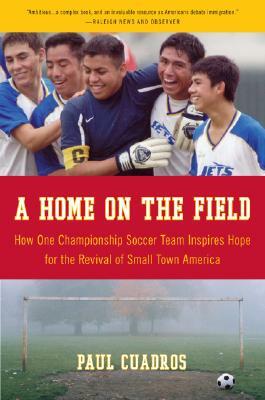 After an uphill battle, the Jets soccer team at Jordan-Matthews High School was born. Suffering setbacks and heartbreak, the majority Latino team, in only three seasons and against all odds, emerged poised to win the state championship. Paul Cuadros's family moved to the United States from Peru in 1960. An award-winning investigative reporter, he has written for Time magazine and Salon.com, among others. In 1999 Cuadros won an Alicia Patterson Foundation fellowship to write about the impact of the large numbers of Latino poultry workers in rural towns in the South. He moved to Pittsboro, North Carolina, to conduct his research and stayed on to document the growing Latino community in the Southeast.